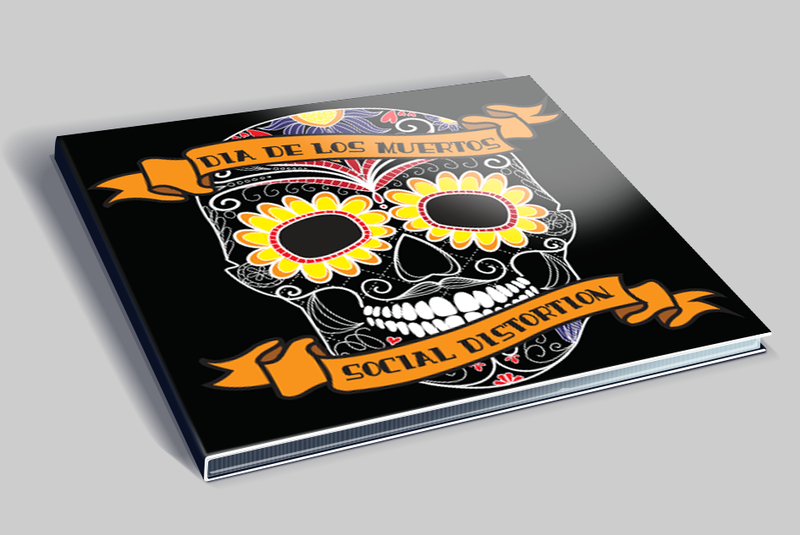 CD artwork and poster created in support of the fictional album release “Dia De Los Muertos” by the SoCal punk band, Social Distortion. 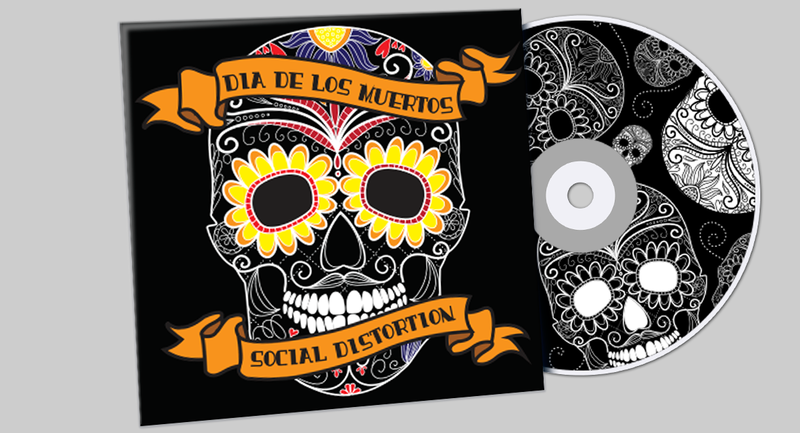 The design is intended to reference Social Distortion’s connection to the Southern California tattoo culture and their signature drinking skeleton illustration, as well as the name of the fictional release “Dia De Los Muertos“, the Day of the Dead. 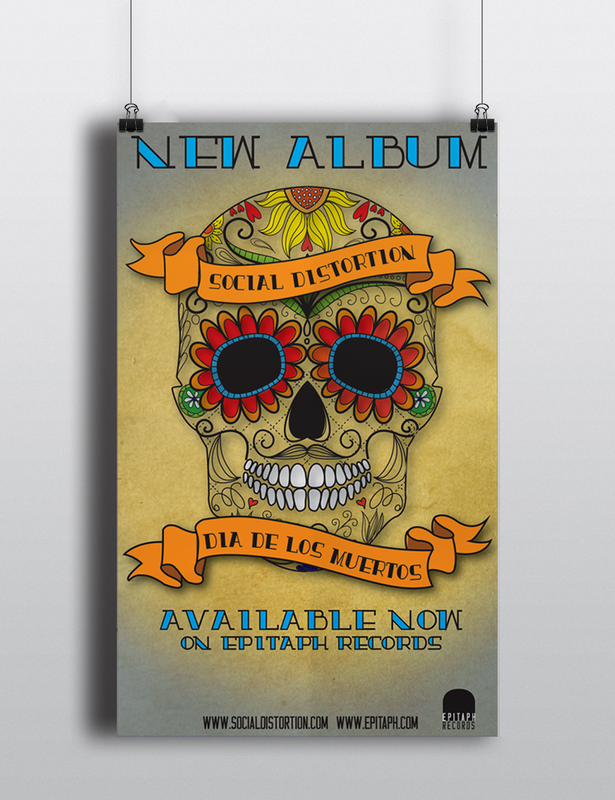 Assets were created in Photoshop, Illustrator and InDesign for the Art Institute of Pittsburgh.